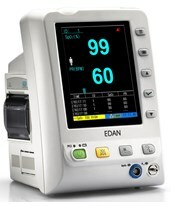 We carry a full line of the highest-quality vital signs monitors and accessories to suit every facility’s needs and budget. Our comprehensible, detailed product descriptions and capable, friendly sales staff will assist you in selecting the right model, configuration, and accessories. Contact us and we will provide you with any assistance that you require. The modular designed diagnostic station is built to grow with your needs. These models may be purchased fully configured, or at the most basic level with the potential to expand and upgrade at your convenience. 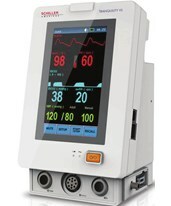 Spot Vital Signs Monitors are a popular choice for the doctor's office and busy hospitals. They provide quick measurements and are user-friendly. 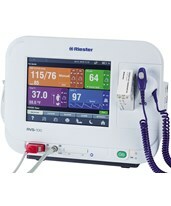 Continuous Vital Signs Monitors offer constant monitoring in hospitals and outpatient surgery facilities. 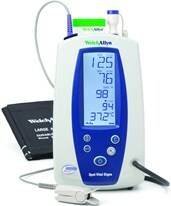 Thermometry is a common feature included in many monitors which may include oral, axillary and rectal thermometer options. EHR connectivity both reduces the chances of human error associated with manual input and streamlines the diagnostic process, saving time and resources. 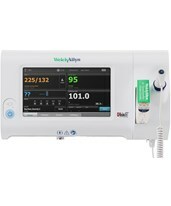 Tiger Medical supplies products from top manufacturers and trusted brands that have been producing and distributing medical supplies for decades. Please feel free to contact our knowledgeable agents who can help you locate all the appropriate components for your patient. 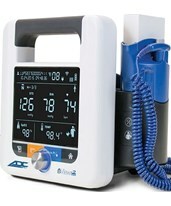 Portable Weighing Less Than 3 lbs.